The Big Island is one of Hawaii’s most fascinating islands. It’s not just beaches and sunshine, but an island filled with some of the most wonderful natural treasures in the world. It will catch you by surprise with its unbelievable landscape, created by thousands of years of volcanic activity and leave you breathless at the top of the magnificent Mauna Kea. 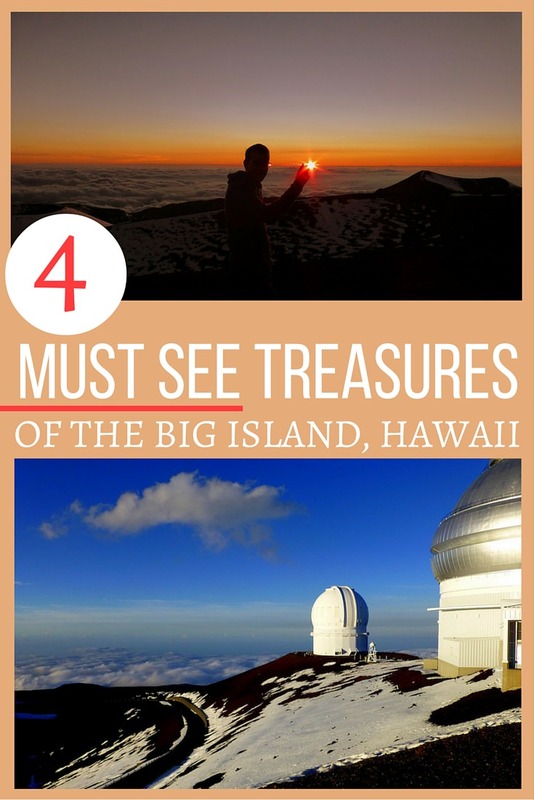 If you are planning to travel to The Big Island, these are the 4 treasures we recommend you look out for. 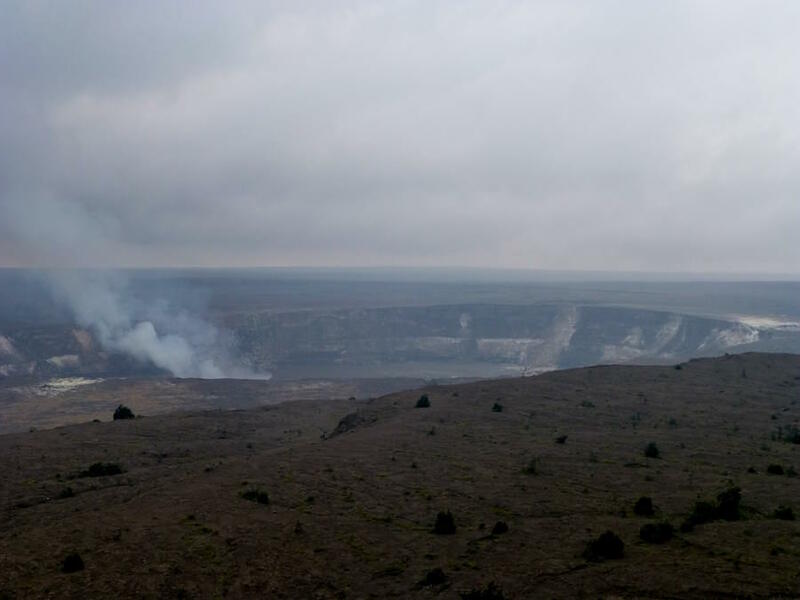 No one should leave The Big Island without spending at least a day in the Hawaii Volcanoes National Park. Not only it is an educational site to visit, but it’s also magical at night, when the lava glows inside the Kilauea crater, the youngest and most active volcano on earth. The first eruption of the volcano is recorded in 1823 and it has been actively erupting ever since. Pop into the Kilauea Visitor Centre for more information about the amazing volcanic activity on the island. Start your day with walking along the steamy sulphur banks on the rim of the crater. Feel the heat and watch the steam coming out of the open vents. Enjoy the walk but bring a scarf or a piece of cloth with you to dodge the stench of the Waste of Pele (Volcano Goddess in Hawaiian mythology). We thought it was bad but just about bearable. For a quick hike, park your vehicle at the Kīlauea Iki overflow parking area and hike down into the crater to feel the bouncy volcanic crater floor. From here you will also be able to reach Nāhuku, the Thurston Lava Tube. If you have time on your hands before sunset, visit the spectacular Hōlei Sea Arch. Take the Chain of Craters road and drive down to the ocean. At the end you will find a short trail leading you to the stunning natural rock formation. Don’t leave the park too early, dusk is when the magic happens. Position yourself comfortably at the viewing platform next to the Information Centre and watch the red lava glowing eerily in the crater, a truly magical experience. One of the most hypnotizing things we’ve seen so far on our travels. 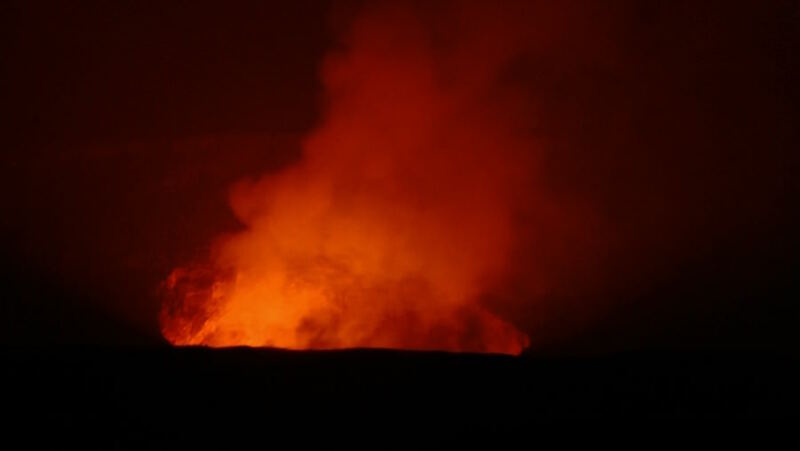 Another wonderful thing to see while on the island, if you are lucky, is the lava flow. The lava viewing activity and location change daily so it’s worth checking the updates on the Hawaiian Volcano Observatory website before planning your travels. The magnificent Mauna Kea is a 1 million year old volcano that has been inactive for over 4,600 years. At 13,000 ft it’s the highest peak in Hawaii and an absolute star of the island. To visit the summit of Mauna Kea rent a four-wheel Jeep and simply follow the signs to the Volcano. In a Jeep, you will be able to drive all the way to the summit. Time your journey well before it gets dark, this way you will have a chance to admire the clouds beneath your feet and catch a soulful sunset. 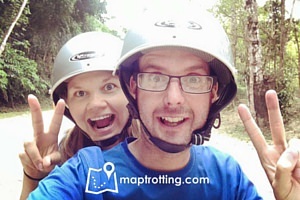 To take the hassle out of reaching the summit you can book a tour. It costs approximately $200 per person. 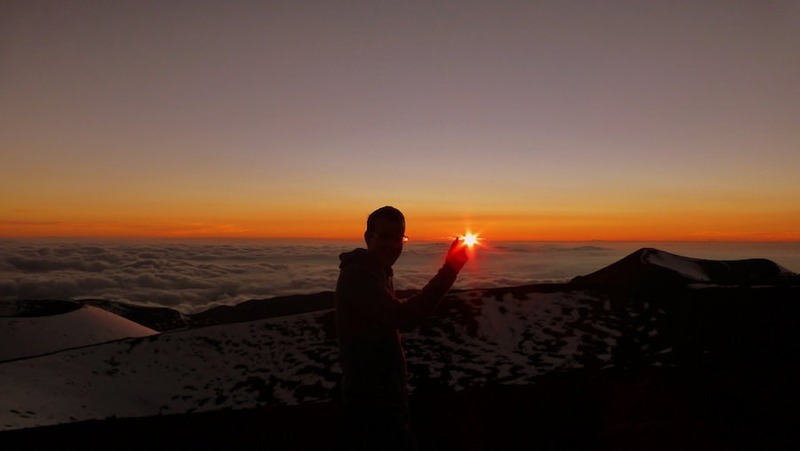 Check out Mauna Kea Summit Adventures and make sure you book well in advance. Our ultimate advice if you are travelling on a budget is to hitch hike to the top from the Information Centre at 9,843 ft. The Information Centre is accessible by a car, but beware of foggy conditions and invisible cows (seriously!). Park your car and hold your thumbs high on the main road. We did it and it only took us a minute or two to catch a Jeep driven by a Swiss couple. I’m sure we shed a tear from the huge excitement as we ascended to the snowy peak. 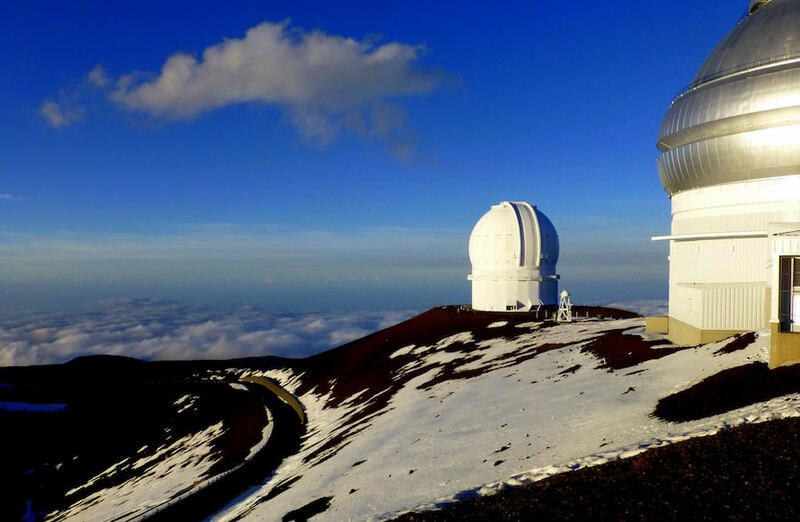 Whichever way you decide to reach the summit of Mauna Kea, it’s absolutely worth the effort. Just don’t forget to dress warm. As soon as the sun dips below the horizon it’s freezing up there, literally. The Big Island is the perfect example of the insane volcanic activity on the island. To witness the result of the flowing lava, head to Pahoa, on the East coast of the Big Island. 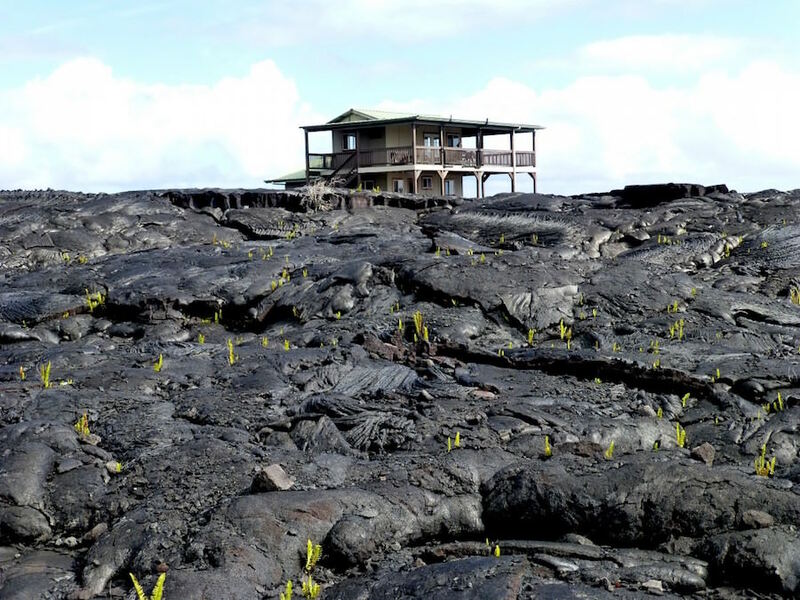 There are 3 main lava rock sites you should definitely include on your Big Island itinerary. Isaac Hale Beach Park located approximately 7 miles from Pahoa is a great place to visit for a short stroll. Camping and surfing is available along Pohoiki Bay. The MacKenzie State Recreational Park is great for hiking, however no camping is allowed due to hazardous cliffs. 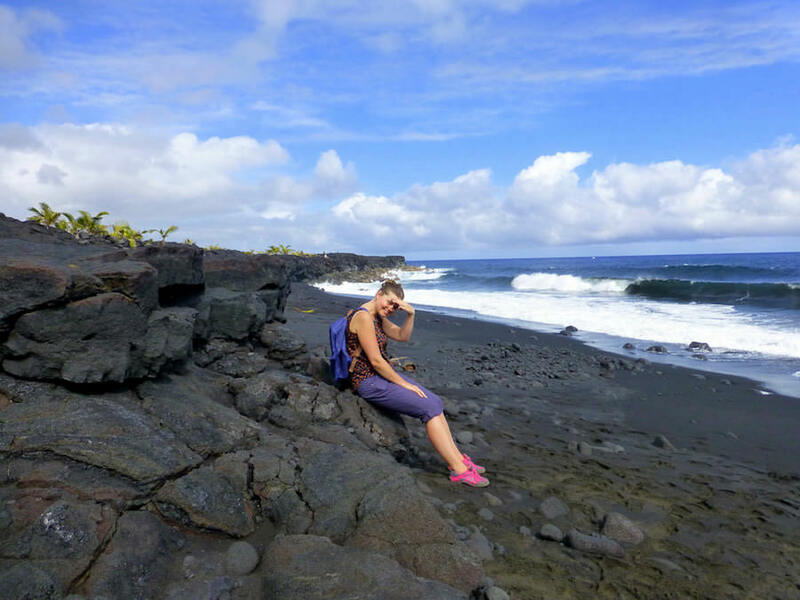 If your time is limited on the island, we recommend the Kaimu Beach also known as the Black Sand Beach. The Eco Path takes you along the lava rocks across the ancient Hawaiian village of Kalapana. Once a beautiful beach it was completely covered by the lava in 1990, you can still see a car sticking out of the black rock. Equally a devastating and a fascinating site to visit, one which we highly recommend. To feast your eyes on the Big island’s tropical treasures, visit a unique and absolutely gorgeous Hawaiian Botanical Garden. It’s located at 27-717 Old Mamalahoa Hwy, Papaikou, on the 4 mile scenic route off of Route 19. This ‘Garden in the valley of an Ocean’ was created by Dan J. Lutkenhouse in 1977. 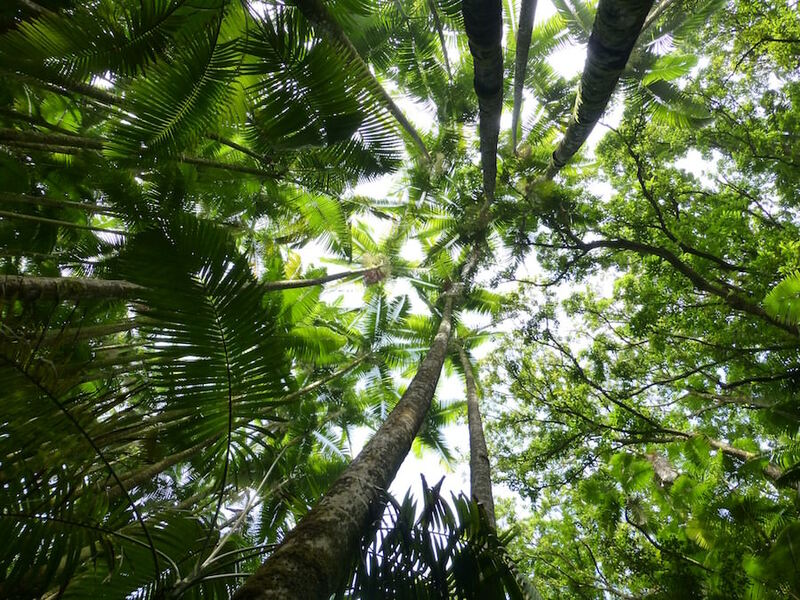 He developed his purchase from overgrown land into a remarkable botanical garden filled with top class tropical plants, flowers and waterfalls. This natural open-air greenhouse was opened to the public in 1984 and 1995 the garden was donated to a nonprofit trust. The unique aspect of this 40 acre tropical garden is that it happily sits by the ocean creating a cool and breezy atmosphere. Trust us, the Aloha spirit and everything you experience on the Big Island stays with you for life, so plan wisely and overindulged into this ridiculously amazing place as much as you can. A must see is Waianuenue (Rainbow Falls) and Boiling Pots, at Wailuku River State Park.